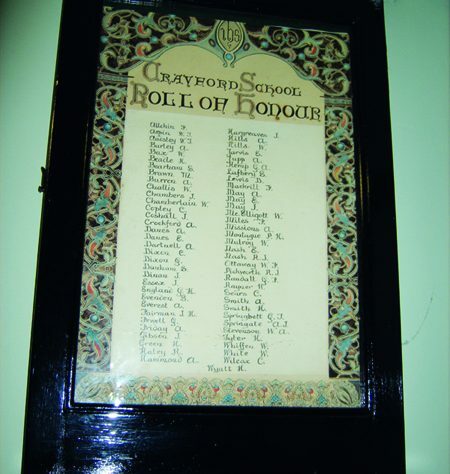 Crayford School roll of honour. 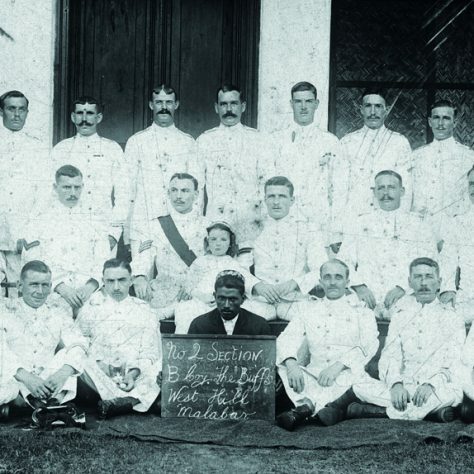 Buffs B Company, Malabar, India. 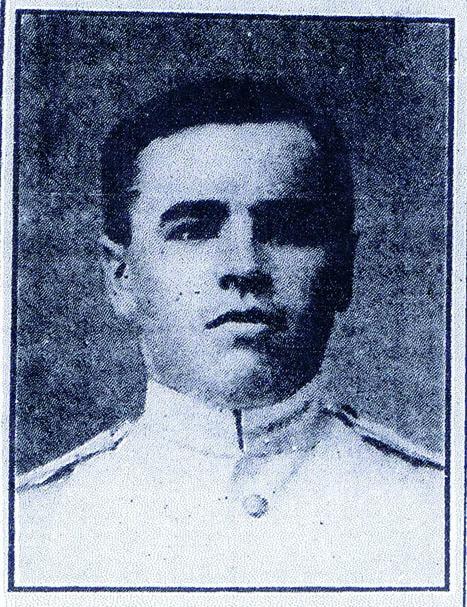 Portrait of Private William White. This November Remembrance services will as ever recall the sacrifice of all British and Empire soldiers in the Great War of 1914-1918. At the eleventh minute of the eleventh hour of the eleventh month – this year the numerical palindrome reads 11.11.11.11 – the nation will again fall silent to mark their passing. The statistics of this ‘war to end all wars’ will read as grimly as ever. Almost five million soldiers served in the British Army during the Great War. Over 900,000 men from Britain and her Empire were killed. Two million more were wounded. The remains of over 500,000 were never found. Kent features highly among this legion of the lost. The county committed several famous regiments into the violent maw of the Western Front, of which the Royal West Kent Regiment (formed in 1881) and Royal East Kent Regiment (formed in 1572 and popularly known as ‘The Buffs’) are perhaps the best known. As is tragically apparent from the 1914-1918 war memorials scattered across the county, many young Kentish soldiers never returned from France, Flanders and other theatres of the war. During 1914-1918, nearly 6,000 men from the Buffs alone were killed in action. As elsewhere in Britain, the Great War tore though families across Kent. 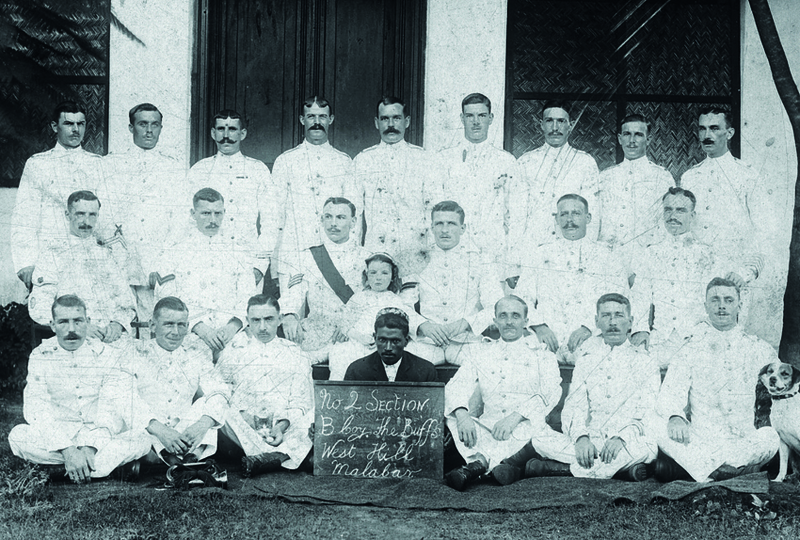 Over the course of four years they lost male relatives in the prime of life: workers in hop fields, light industrial factories and from Kent’s grammar and public schools. 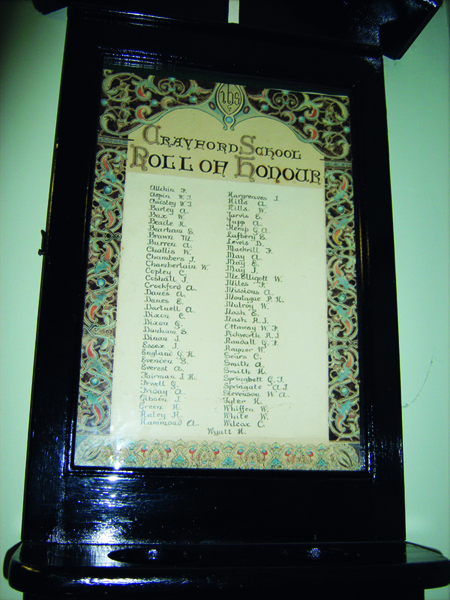 Kent’s extensive roll of honour includes Private William ‘Chalky’ White . A brick worker’s son from Crayford, Bill White served with 2nd Battalion the Buffs in peace and war. The archive sources researched by local Kent historian Peter Daniel, recall a vanished world of barrack room banter, imperial adventure and Western Front battlefield squalor. The personal story and ultimate fate of this soldier from Kent resonate powerfully almost a century on. 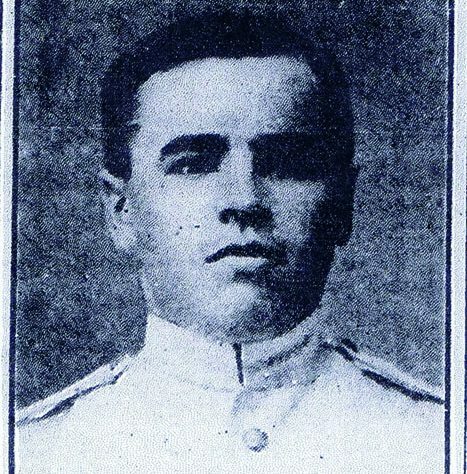 White’s story, covering five years of home and overseas military service from 1910-1915, read today like a tale out of the pages of Rudyard Kipling. As a Regular recruited into the Buffs in 1910, his service coincided with the zenith of Britain’s imperial power. A garrison soldier in Dublin and Belfast during 1911-1914, White witnessed the tumult of pre-war Home Rule agitation in Ireland and mirror-image Unionist resistance in Ulster. He also served in pre-war India, at the height of the Raj, before nemesis found him out in the muddy trenches of Flanders in February 1915. The most remarkable treasure that has helped to uncover Private White’s story is his autograph book, which has laid unseen in the archives at the National Army Museum in Chelsea until now. It opens a window into his tragic story, for like so many men of his generation, ‘Chalky’ would be swallowed whole by the cataclysm of the Great War.